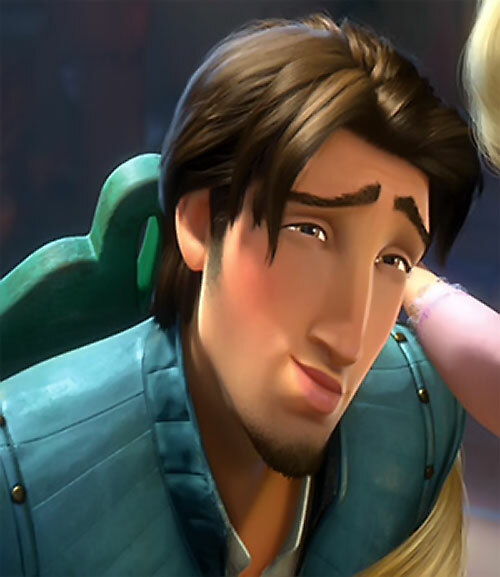 Real Name: Eugene Fitz Herbert. Group Affiliation: The Stabbington Brothers. Base Of Operations: The kingdom and its surrounding forests. Height: 5’9” Weight: 165 lbs. Other Distinguishing Features: Slight beard. 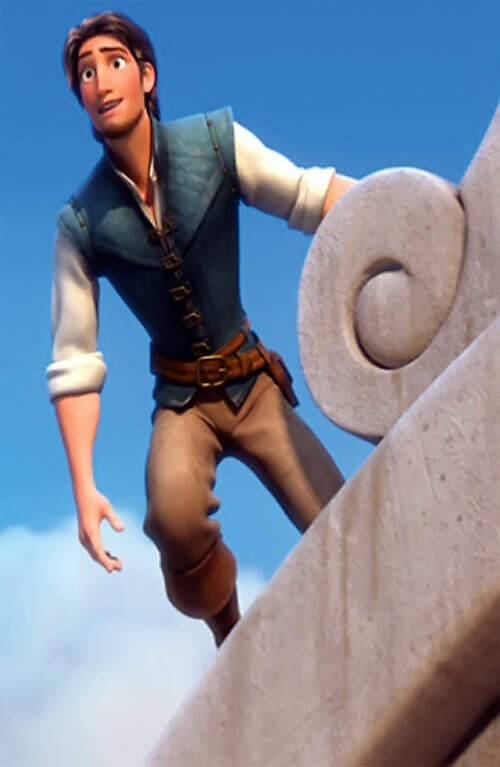 Flynn’s youth has lent him good agility allowing him to confidently travel the rooftops. Having good athleticism, he can swim and run well. He’s actually a pretty good pickpocket too. 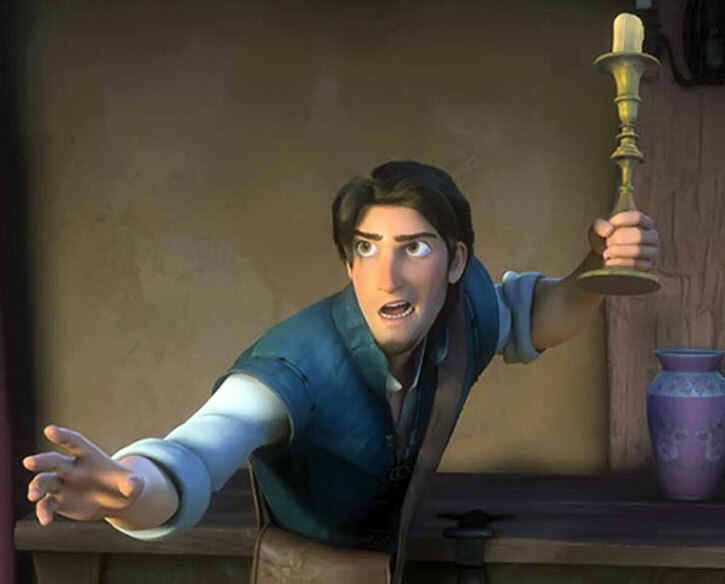 Flynn is a competent swordsman but has learned that frying pans are much more effective. 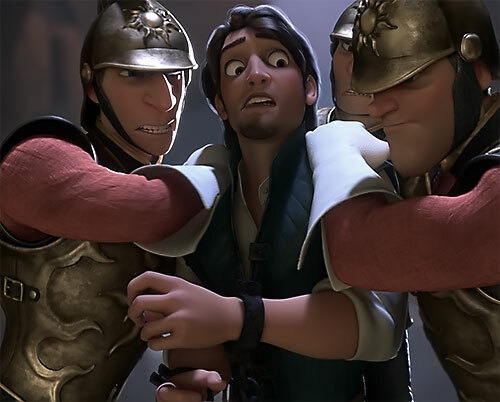 Flynn Rider teamed up with the Stabbington Brothers to pull off a theft that would make them all rich. 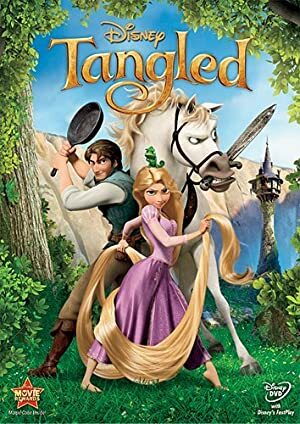 Steal the lost princess’ tiara and after escaping his partners sell it for all the money he could get. His Thrill of Adventure motivation got the best of him while doing the robbery. He couldn’t help but reveal himself to the royal guards just as it was too late for them to do anything about it. However, it’s never that easy. The palace guards pursued him and his cohorts on horseback into the forest. After climbing his way out of a dead-end valley, then falling down a long steep cliff he evaded Maximus and disappeared into a hidden vale. In this vale was a tall tower. It seemed to be a good hiding place and Flynn climbed to the top and inside, only to be knocked unconscious by an unseen assailant. 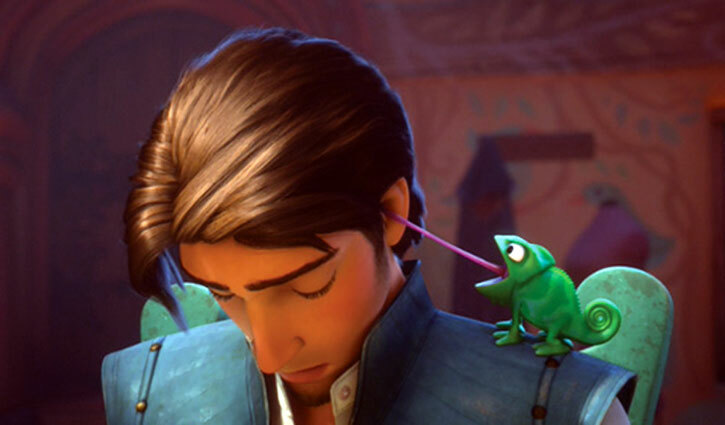 Rapunzel HD movie trailer focusing on Flynn. 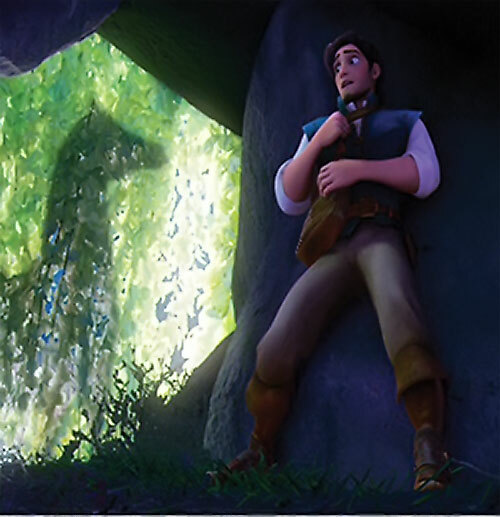 Flynn wears a white button-up shirt with the sleeves rolled up. 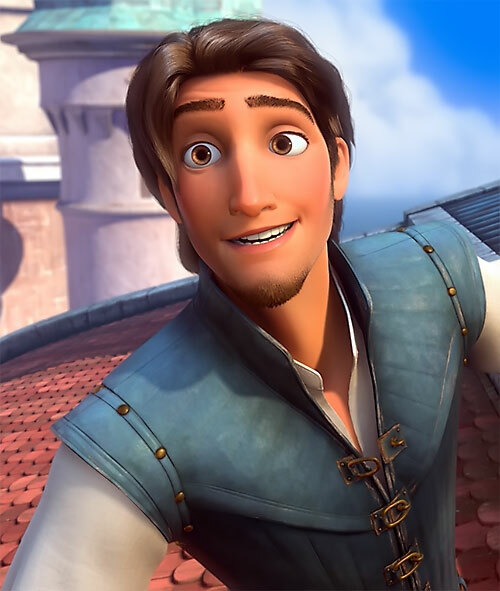 Over which he wears a blue tunic, brown leather boots and belt with grey pants. He also has a satchel when doing his thieving work. He wears this on his belt but once it has loot in it it’s tightly held in his hands for safe keeping. 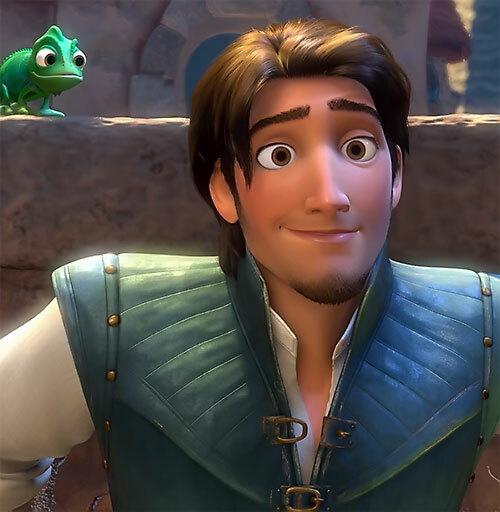 Flynn is happy-go-lucky for the most part. He’s confident in his abilities and also in his future. He’s sure he will be rich in the future. Even though his desires are based on his future dreams the reality is he lives for the day. He loves to do things that are unexpected, especially if it will get a reaction out of others. 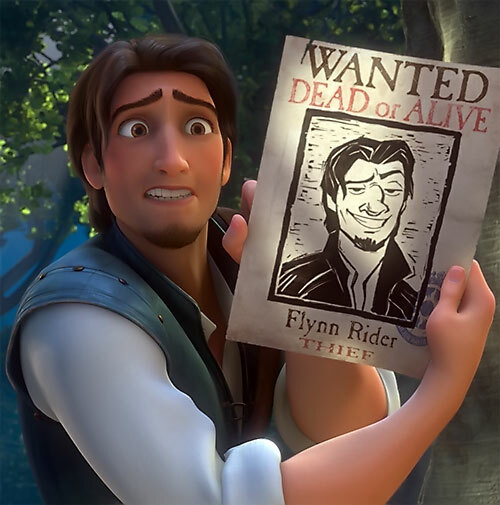 Flynn doesn’t like for people to get hurt by his actions and when it’s important Flynn will make sacrifices for those he loves. Stabbington Brothers (Low, only at the beginning of the film). 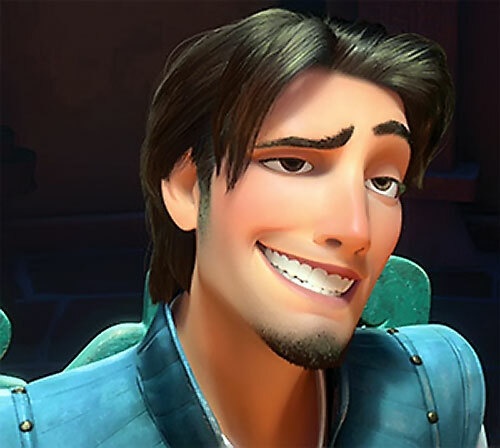 Minor Irrational Attraction to Rapunzel, Minor Irrational Attraction to acting like he’s not taking things seriously. 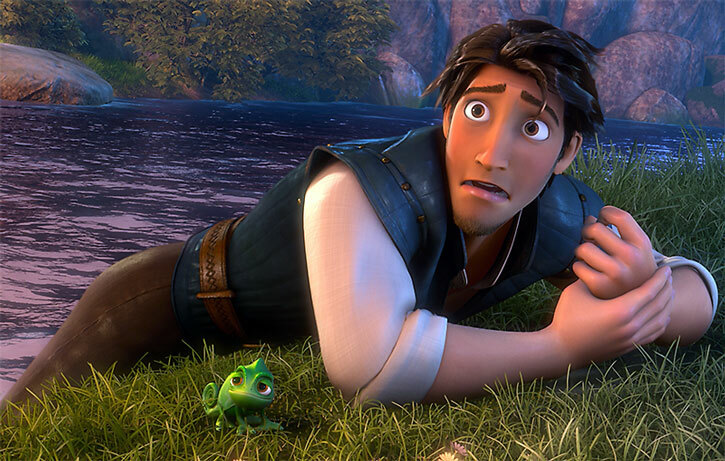 Source of Character: Disney’s 2010 animated film Tangled, character voiced by Zachary Levi. Writeup completed on the 18th of November, 2011.